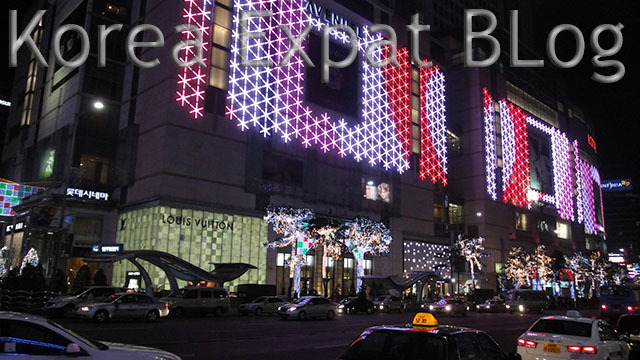 there are many kinds of On-Line Shopping Malls in Global CyberSpace . and because it is on air : participants are more careful for things or people they cannot see, making it harder to lure someone . further-more the ante is up in Korea where its citizens are highly educated, but again the crooks are too . enter a vital fact : South Korea is pretty new to consumers rights and the Shopping Malls run by large conglomerates sometimes make very convincing tricks . but they have chosen to offer reliable customer support especially to ease-up disbelieving older generations without whom (Cable-TV) Home Shopping Channels and (Internet) On-Line Shopping Malls wouldn’t have spread as much as it has over the Millennium . stand at the entrance of any larger apartment complex and you’ll notice courrier and delivery vans coming and going throughout the day, Saturday included . so in the end it is the venture capital-powered underdogs and second-hand (used-items) markets you have to watch out in cyberspace . an honest-sounding person swears by God to send you a popular item and does otherwise . unless you access one of the handful of community forums where expatriates buy & sell used items, whose scale is very small, you will be going through a friend or co-worker who will read & type Korean for you . there are several used markets On-Line, validity shifting as new ones emerge, and some dedicated to certain line of products, from a memory card to actual automobiles . here malicious people log-on from far rural areas with an immensely popular product in-hand, with their own reason for needing the money, NOW . lots of people have been “had” this way, so larger sites now has an “escrow” option . times haved changed since earliest auction site, and now roughly a half of items are new . where smaller vendors have set up shop to do their selling here for the rather simple purchase and payment system . in the course of developing into an I.T. Power, Korean CyberSpace is full of user-communities usually referred to as “clubs” such as those dedicated to Sony Vaio NoteBooks, etc. these clubs, but many others with stand-alone domains . and it is safe to buy from other members here for the numbers of members are smaller, sometimes required to list self-photo, phone number, or even Alien Registration Number on sign-up . other than instances when I mention “Department Store” where they mostly belong to a larger AND stable Conglomerate, those individual booths renting out spaces in virtually ALL of the Electronic Districts or Shopping Malls fall into this caution-zone with very few exceptions . another positive hint is if the store has several branches : where they will have enough to cover the loss, or have the power to return the item to its supplier . so why go to the actual stores ? to see for yourself and try it in your hand for 1.size matters when going mobile like PMP Portable Movie Players, and 2.operation procedures are a very personal taste such as Electronic Dictionary. try to find a crowded counter where someone else is trying your favourite model and try it on the side, for most salespeople will balk at you if you ask tons of questions and don’t buy . this gets more “civilized” in Department Stores but some of those nasty looks still remain . try all the knobs .. and don’t buy . first, you can forget the  above unless they have a trustful track-record in a specific range of product . for example a few sites specializing in digital cameras were good in offering everything related within a competitive price, but the advent of price-comparing sites scattered frugal shoppers and many have gone under . and the worst-case scenario heaps from  above where it is convenient for the seller since the Mall rents out its space with an working system needed to sell merchandise . however when it comes to exchange or refund time : they all thrust responsibility on each other and it is just not worth the time to go through them . then comes the conglomerates with prompt exchanges and refunds, no questions asked – for those from the States this is how it always should be .. but a developed nation all did in various steps and some left out the civilized, consumer-oriented one . in Korea it all began before the Internet : in the mid-90’s when Cable-TV began linking the nation, each conglomerate opened shop with convincing sales-pitches, AND because the first fear of buying without touching was “what if I don’t like it ?” they offered immediate exchanges & refunds . it really was the only way to go via Cable . couch potatoes too, but their faithful followers were newlyweds, because the young here usually stay at their parents’ until getting married, and when bells rang they had lots to buy . and this grateful practice carried-on when the same companies opened Internet Shopping Malls and had to compete just like on Cable . the next important clue to look for in any On-Line site, is the inquiry post board OR buyer’s review forum . some site have this as a separate forum, while others have this portion contained IN each product’s sale page . the former even has English menus with one or two foreigners employed for the translation & service but not worth it unless you talk to them personally and have everything clear prior to purchase . http://www.cjmall.com : had 3-months recovery insurance on selected products even if you drop a notebook ! On-Line version of Korea’s real-time super-marts with the usual exchange & refund policy as their Cable-TV and Internet Shopping Malls above . heavy bottled water usually limited to 6~12 for each brand . usually charges W4,000 for delivery unless totals more than W80,000 . with many imports and best on-line service of the 4, with 3 time-slots to choose daily – paid choice of plastic bag or cardboard box, or else delivered in their own basket to be unloaded . although offering 4 time-slots you have to order almost 12 hour in advance .. should do better – delivered in giant plastic bags where everything gets tangled . not much imports and Southern Busan (Pusan) region only but very active within with expedient delivery . and sorry : Scandinavian furniture chain IKEA has not landed in Korea yet, NOT as in one big store, but available in bits & pieces through price comparison sites above . one place where foreigners can relax and even meet people is in the English section few larger bookstores . but did you know they’ll ship most publication in a week from the States too ? (like-wise from Japan and Europe) I am listing several because if they have it in-store : no need to order from abroad . same book prices vary . if you are from Paris, Seoul has a bird market at DongDaeMoon (East Gate) to the East of CheonGaeCheon Road before you cross over onto the wholesale clothing area . on special occasion they are a saviour sending cakes and flowers on appointed time AND fresh ! http://www.cakecall.co.kr : even heart-shaped ones for your anniversary ! all the above is a mighty long AND varied list, but there comes a time when they just don’t sell the model you are seeking or might really concentrate on a single range of products such as printer ink, normal battery, light bulbs, hardware tools .. sorry, I wish I had the time to list all of’em . chances are they supply some of the general shopping malls above . the one most important factor in deciding to buy from these sites is whether they have a customer post board where even non-members can participate . if they don’t have it or they have spam posts for the past few days : move on . if they have a post board, check to see how frequent the posts are and if the administrator is answering each one of them . short of the age of cyborgs and light-travel : no there is a limit to the things you can, or rather should buy on-line . yes those conglomerate shopping malls on the top of this page offer no-questions-asked exchanges and refunds but save your precious time . although a known site among Koreans as a “mediating” market lending out space for vendors with payment system intact, and leaving out to work out the rest between buyer and seller . not recommended . even after they sought to emply an expat or two to head the ‘English’ menu the verdict is still out . for last year there was news that a customer was surprised to find additional tax involved when receiving the merchandise . an aspiring site began barely July 2008 with hopeful news . but the site has been gradually closing off items to the point now only has Internet Service Prodivers and a handful of cell phones available – the very two service and item that pays clear commission .